Welcome! If you’re reading this it’s safe to say you want to jump on the Pinterest bandwagon but don’t know where to start. This step-by-step beginners guide to Pinterest Business will lay out how to get your business account up and running. Update: Part 2 of my Beginners Guide to Pinterest is live! Click here for step-by-step instructions on how to set up Rich Pins! First of all, what is Pinterest? Pinterest is a visual-based search engine that relies entirely on images. Think of Pinterest like Google, and think of your Pinterest profile as a bulletin board or bookmarks bar. For example, say you would like to find a chocolate chip cookie recipe. You may go to Google and search chocolate chip cookie recipe. Once you find the recipe you’re looking for, you will either bookmark the page on your browser or print it out and store it somewhere. Pinterest combines all of these aspects into one easy to use space. Hundreds of images of chocolate chip cookies will come up, and hopefully they all link to recipes. Now instead of bookmarking or printing out a recipe you like, you can pin it to your board (I’ll show you how to do that in a bit). To get started, you need create a Pinterest account. It’s free, all you need to do is enter a valid e-mail address or connect to your Facebook account or Google account. Random fun fact– did you know Pinterest used to be invite only?! Personal Account or Business Account? You will now need to decide if you would like to sign up for a personal account or a business account. If you have a business or a blog, I would recommend creating a business account. There are a couple of pros to creating a business account. First, you can set up your account with your business name instead of your personal name. Second, the business account includes marketing tools to help drive traffic to your business or blog, including analytics and the ability to advertise. If you already created a personal account, you can convert to a business account any time. For the sake of this post, I am going to create a business account. To do this, click continue as a business. Confirm your language and country are correct. Pick 5 categories you’re interested in (try to choose topics that pertain to your business or blog). Download the Pinterest browser button. I would recommend downloading this, but you can always skip this step and come back to it later. For the purpose of this post I created a new business account from scratch. On your dashboard, each photo represents a pin. You may click on each pin to expand the image. For now, let’s continue setting up our business account. Hover over the gray icon with the white human silhouette in the top right corner. A drop down menu will appear, click settings. Make sure all of this information is filled in correctly: e-mail address, language, country, business type and contact name. Make sure this toggle is switched into the left, off position. This is very important, specifically for a business account. If the toggle is switched on your Pinterest profile will be hidden from search engines. Next, scroll down to profile. Fill in your business name if you haven’t already. Upload a picture that is relevant to your business. This would be a great place to upload your logo, if you have one. Make sure you use a quality image that is 165 x 165 pixels. Create a custom URL. It would be wise to use your business or blog name here. Fill in the “about you” section. I will go into more detail in my next post on what to put here. For now, briefly describe your business or blog and put in your website URL. Location. If you own a business, it’s probably helpful list the city and state where your business is located. I will cover how to claim your website in my next post. Let’s keep it simple for now. Scroll back up and hover over the icon where the grey silhouette previously was. It should now be your photo, if you uploaded one. Click on my profile. As you can see, we have no pins, no boards and no followers. To start off, let’s create a board. A board is your home for your pins and re-pins. Above the gray box you have three options: pins, boards and tries. Click boards and then click the red plus sign. Choose a name for your board and try to be as specific as possible. For example, if you run a fashion blog, instead of outfits name the board Spring Outfit Ideas: Dresses. I will go into more detail as to why this is important in my next post. Create as many boards as you would like. Now that we have a board to pin to, let’s start re-pinning. There are a couple of ways to do this. The first way is to go back to the main dashboard and browse your feed. This is fine if you would just like to browse and you aren’t looking for anything specific. However, if you are looking for something specific, use the search bar and type in what you’re looking for. I’m going to type in spring dress. As you can see, our feed filled up with hundreds of pins containing spring dresses. If you take a look below the search bar, you’ll see colorful blocks with words in them. These are keywords. 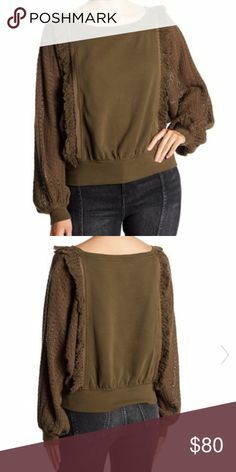 If you’re looking to narrow down your search even further, for example, you’re looking for a casual spring dress as opposed to a fancy spring dress, you can click on casual. I decided that I like the yellow dress and I want to re-pin it to the board we created earlier: Spring Outfit Ideas: Dresses. There are two ways to do this here. The first way is to hover over the image without clicking. A red save button will appear in the top right corner. The second way is to click on the image, and then press the save button. The main difference is clicking on the image will enlarge it and allow you to edit the description. In my next post, I will go over how to find keywords to put into the description box. For now, leave it alone or type in whatever you would like. Now look for the save button. It is directly next to the board we created, Spring Outfit Ideas: Dresses. Click save and the pin will be saved to that board. If you want to save the pin to another board, choose a different one or create a new board by clicking the red plus sign. Another way to search for spring dress pins is to go back to the search bar where you typed spring dress and expand the drop down button that says all pins. You will see there are four other options: your pins, buyable pins, people and boards. Choose boards. Here, you will find boards that are specifically dedicated to spring dresses. You may want to follow some of these boards if spring dresses is a topic you regularly want to see in your feed. The last thing I’m going to show you is how to find other user profiles. Let’s search for my Pinterest profile as an example (#shamelessselfpromotion). Return to the search bar, type in Right Side of Twenty, and choose people in the drop down menu. When you arrive at my page, you will see all of my pins, boards, and two buttons above my profile picture: message and follow. If you would like to send me a private message, click on the message button. If you would like to see my pins show up in your feed in the future, you would click follow. Click here to learn about my secret Pinterest hack! Pinterest is an extremely useful marketing tool for businesses and you’re well on your way to building a successful Pinterest account. Continue re-pinning images you like and following other members within your community. In my next post I will show you how to upload your own pins, sync Pinterest with your website, use keywords in your descriptions, enable rich pins, and more. If you have questions on how to integrate affiliate links into your pins, I HIGHLY recommend investing in the House of Brazen’s e-book: How to Make Your First Affiliate Sale in 24 Hours. Elise’s step-by-step guide shows you exactly how she made her first affiliate sale in less than 24 hours using Pinterest, so that you can start making sales today rather than months from now. I was skeptical about paying $25, but after doing research and discovering that some experts charge $150 – $200 for their e-books, I jumped right on it. Her simple method worked for me and I’ve made almost $100 just one month into blogging. If you liked this post, please consider following me on Pinterest. I truly appreciate the support! It’s such a game changer! I’ve been a Pinterest maniac for the past week and I’ve already seen such good results. And yes, it’s SO addicting, my boyfriend has to peel me away from my phone at night haha 🙂 Thank you for taking the time to comment, Christina! I needed this right now – thank you so much. I’ve been working hard on my Pinterest account lately and I am slowly seeing results. However, it’s such a learning curve each and every day. I think Business Pinterest is KEY! It’s so useful and insightful! Thank you for posting this! I just started using Pinterest for my blog and business. I am still learning and this post really helps! Great how to post! I would love to cross promote this on my blog! Fantastic post! You added a few points that I hadn’t seen before, and I really appreciate your use of images here, so I can compare it to my own! I’m a visual person and I find that screenshots really help! Thanks for the comment, Mimi! I have always loved Pinterest but stopped pinning for awhile. I wished I would have kept up with it because I see how important it is to blogging now. Tailwind has been a game changer for me with Linterest for sure. Great tips overall and I’m going to go follow you on there now! Thanks for sharing! Great information. I don’t know a thing about Pinterest. This is going to be very helpful when I open my account. I’m glad it was helpful, Kathleen. It’s really user-friendly once you get the hang of it! Have a wonderful weekend! REALLY great tips for Pinterest! I think we can all get overwhelmed with how we should be using it! I’ve been using Pinterest for years & didn’t know it could be used to help out my blog! Thanks for posting! Thank you for sharing this post. I followed you on Pinterest! 🙂 I’m just starting out with a new blog and I would really appreciate if you could give me a feedback on my site. Thank you!